At the center of the solution is the powerful Laundry Master Controller, which handles up to 32 machines and is available in stored-value or account-based card formats. The Laundry Master Controller is designed with a strong steel cabinet that is equipped with a high security lock for maximum protection in an unsupervised environment. The settings for the Laundry Master Controller can be configured to adjust price per wash or dry. The unit is designed to be mounted on any flat surface or secure wall. In addition to the Laundry Master Controller, each machine is equipped with the interface module (Model 4130), required to control the machine and provide status back to the Laundry Master Controller. The controller communicates to each laundry machine via a RS-485 daisy chain network. Additional features of the system include configurable price per machine, stacked dryer times and the ability to monitor machine usage, called LaundryView™. As a Web-based system, LaundryView™ allows users to monitor the status of washers and dryers in the connected laundry rooms – from any computer/smart-phone with internet access. Students may also receive notification via e-mail or cell phone when a machine is free, or their laundry is done. 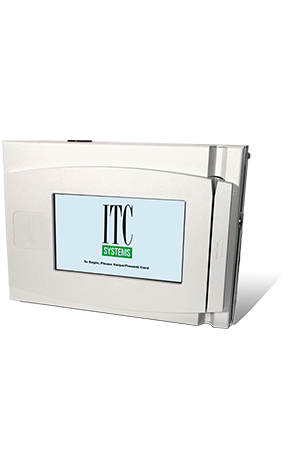 Full metering and reporting is available and can be easily reconciled using the ITC Systems’ SmarTrack software package. The Laundry Master Solution is secure, easy-to-use and ideal for environments that have unattended laundry facilities.